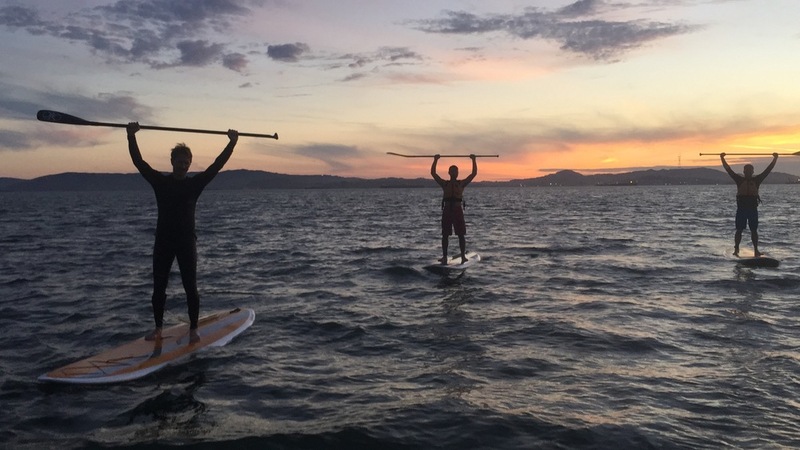 Ready to take your sup skills to another level? Feeling intimidated on rough water or long paddles? Want to learn how to surf? We pride ourselves in taking paddlers to the next level whether it's surfing, downwind surf, racing or coastal explorations. Each of these paddling disciplines have a different set of skills, require different equipment, and specific knowledge about the environment. See sample skills and itineraries below, but we can completely cater to your capabilities and learning needs. Each lesson is between 2-3 hours including skills building and practicing in a challenging environment. All equipment and transportation: premium board, premium paddle, leash and wetsuit. SUP surf is becoming a really popular subsection of surfing because of the ease of catching a wave and SUP's versatility in different conditions. We have designed these three lessons to get you acquainted with all aspect of surfing so we can make you a bona-fide surfer! Surf locations include but not limited to: Pacifica, Bolinas, and Santa Cruz. You will start with inflatable surf boards (for the safety of you and other surfers) and graduate to hard boards. Prerequisite: Level 3 or equivalent. Price: $150 per lesson or $375 for three lessons. We love Downwind Surf because there are so many waves on the bay you don't have to compete for a scarce resource like an ocean wave. Downwind surf is an exciting new subset of stand up! Downwind surf requires specific downwind boards typically 12'6 or 14' long with surf tail and highly rockered noses. Surf locations include but not limited to: Mike's paddle in Alameda, Crown Beach, Treasure Island, Richmond, and Alcatraz. 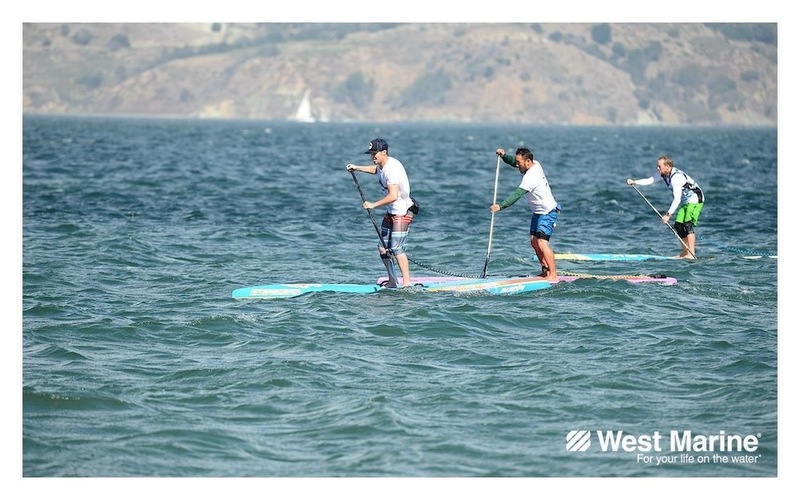 Racing has come to dominate the SUP scene in a lot of ways! Under Mike's coaching, the Mike's Paddle race team has won numerous podiums in local and regional races. Although we are not all about racing, we love paddling fast! We have built these three lessons to focus on parts of racing that most people need help with. We understand that training a racer needs coaching at a totally different level than other aspects of this sport, so we are happy to provide ongoing race coaching with workout plans, diet and nutrition, and race support. Contact our head coach Mike Wang for any questions. Come paddle in the ocean with us! As you progress from paddling in the bay, you'll get the ocean itch. Paddling in the ocean or Coastal Touring requires a whole different mind set - you are in the tougher water conditions in the wilderness. Here we put all of our paddling skills and knowledge into one sport: we could surf in and out of a beach, paddle 4-10 miles with in a mile of the coast, possibly camp in the wild, and play in a coastal rock garden! Contact us and schedule your private lesson!